Community Action is excited to begin offering a new "Community Response" program. 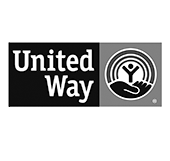 In partnership with United Way of Lincoln and Lancaster County, Nebraska Children and Families Foundation, and several other human service agencies, Community Response is a program aimed at supporting and linking families to resources needed to prevent entry into the child welfare system. Our newly hired Gathering Place Program Administrator, Lisa Janssen, will oversee our involvement in this program.